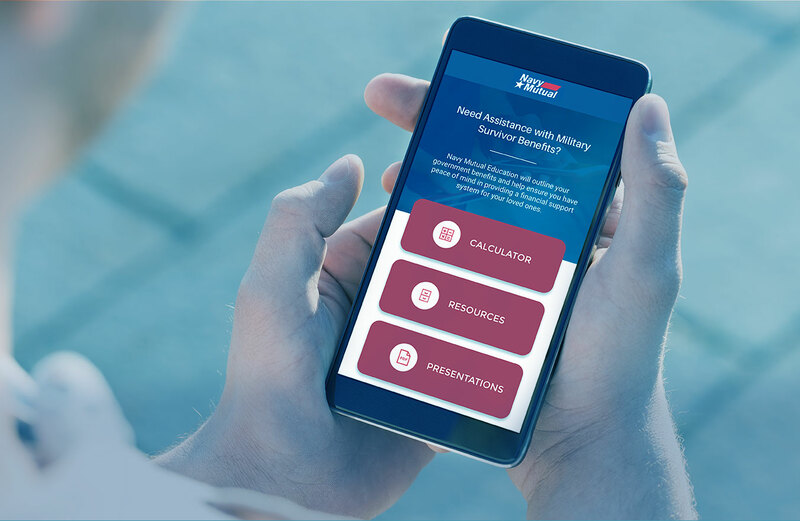 With the launch of the Survivor Benefits app, Navy Mutual is able to put appropriate resources directly in the hands of their members in an overall effort to increase awareness of government benefits. It also allows Navy Mutual to more directly reach members through a new channel and increase its footprint in members’ lives. One of Navy Mutual’s primary missions is to ensure veterans and families of veterans understand their legally entitled rights and benefits. 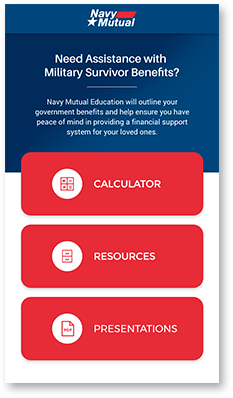 While Navy Mutual’s website houses valuable resources and tools for the public, the team wanted a tool optimized for, and easily accessible from a mobile device. 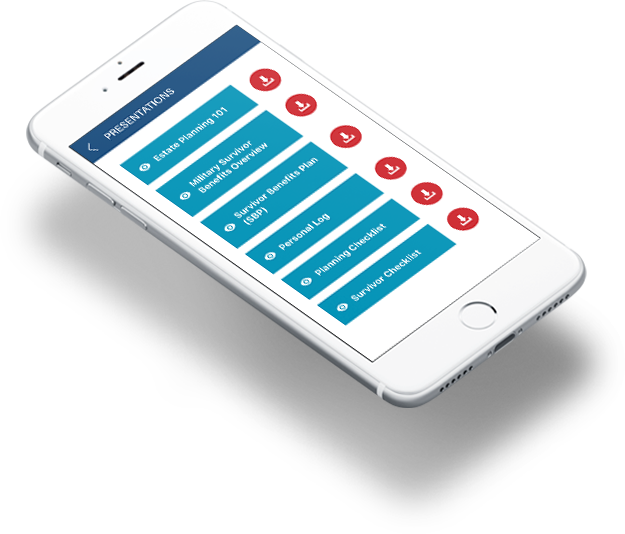 Working collaboratively with Navy Mutual’s team and existing brand guidelines, we created various palettes to eventually finalize a look and feel for the mobile app’s overall User Experience. 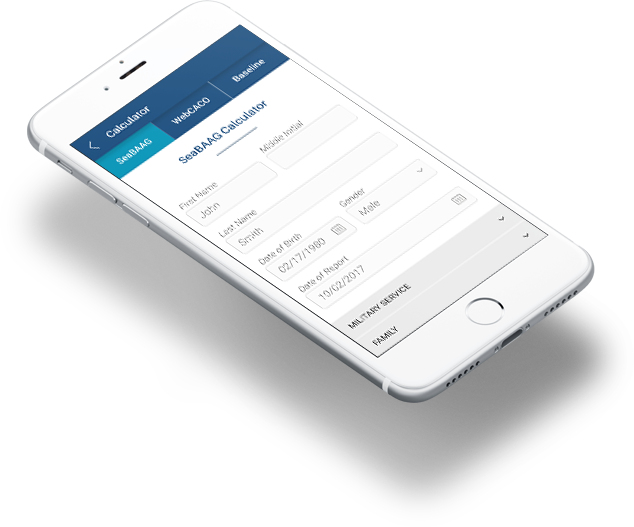 For maintainability purposes, Navy Mutual opted to move forward with a React Native cross-platform application in order to create both iOS and Android apps from a single codebase. 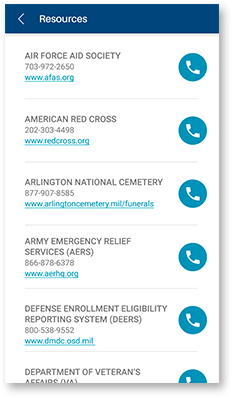 One of the key features of the mobile app is a set of Benefit Calculators for users to estimate survivor benefits and entitlements. 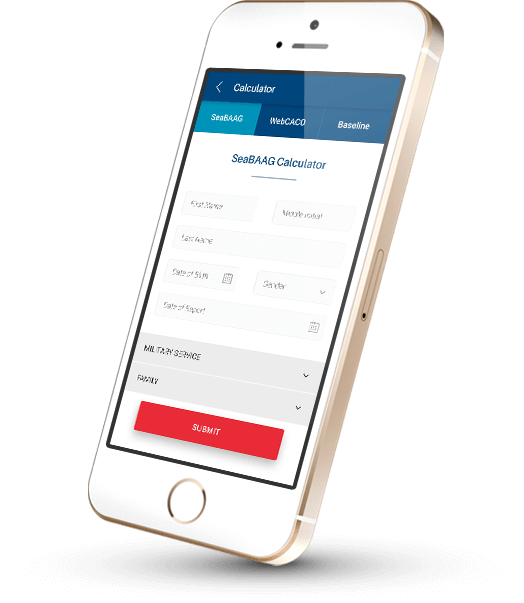 The calculators are processed through a legacy, internal backend database that did not have an optimized interface for plugging in new systems. 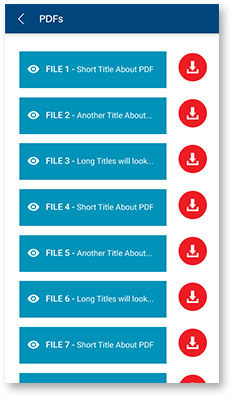 In order to make the backend accessible to the mobile apps, our team had to create new APIs for the apps to submit user inputs and retrieve the appropriate output to be displayed.